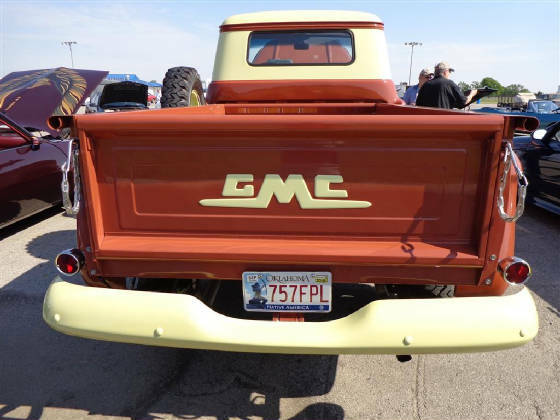 Several members of the Cimarron Starlite Cruisers attended the Pontiac Nationals held May 2 at Tulsa Raceway Park. This wonderful event is hosted annually by the Indian Nations Pontiac Chapter of the Pontiac Oakland Club International. 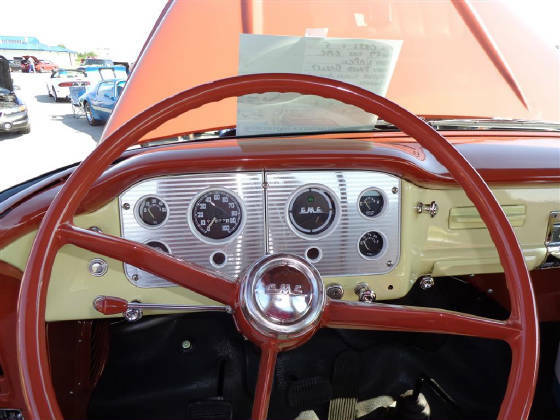 Owners of Buick and Oldsmobile vehicles are also invited and the event is promoted as the Tulsa Pontiac Nationals and Buick, Oldsmobile, Pontiac Challenge. 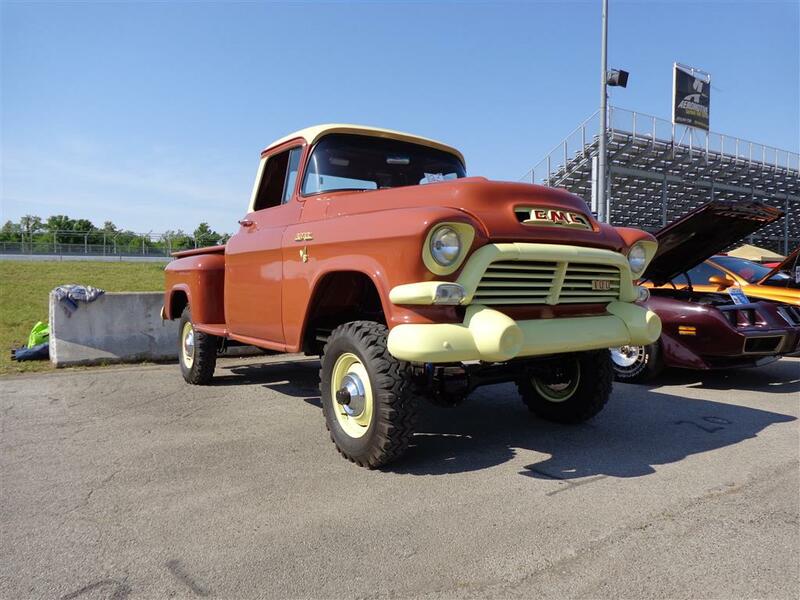 While enjoying this wonderful day of classic cars, swap meet and drag racing we met up with David Bailey and his outstanding classic GMC 100 4X4 pickup. David was talked into purchasing the pickup over ten years ago by his very smart wife, Julie. They found the truck listed on the internet. David originally thought the truck was too expensive and too far away to be a reasonable project because it was located in Salmon Idaho! Julie made some calls to find out more about the truck and eventually talked David into purchasing the truck and driving the 2900 mile round trip to pick it up! 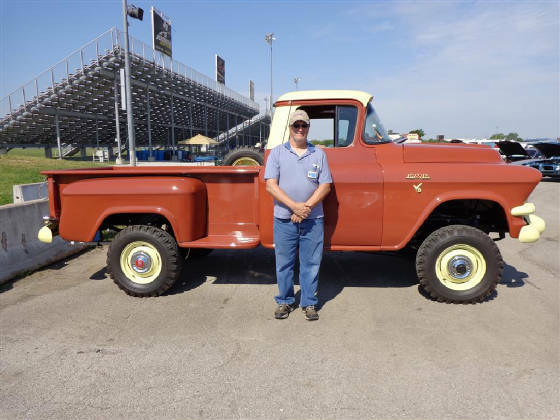 Tulsa Auto Spring Company assisted David with refurbishing the springs of the original NAPCO four-wheel drive assembly. Northwestern Auto Parts Company (NAPCO) was founded in 1918 and based in Minneapolis. 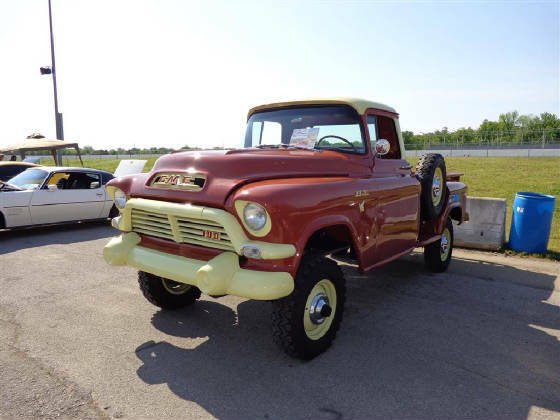 As early as 1942, NAPCO began building four-wheel drive assemblies to be fitted to Ford, GMC, Chevrolet and Studebaker vehicles; however NAPCO is primarily associated with GMC and Chevrolet pickups. 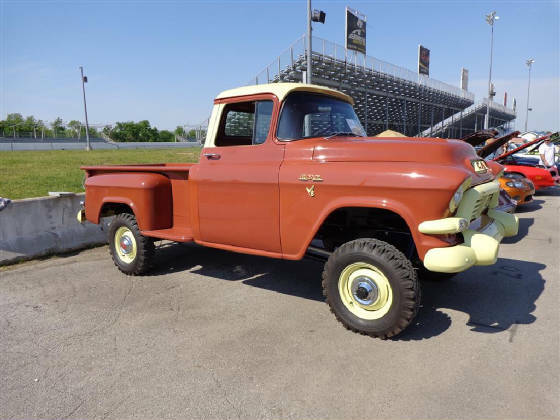 From 1956 to 1959 the NAPCO Power-Pak option could be ordered directly from GM (an official RPO 690 was assigned in 1957) and factory installed on trucks with very few modifications to the original chassis. 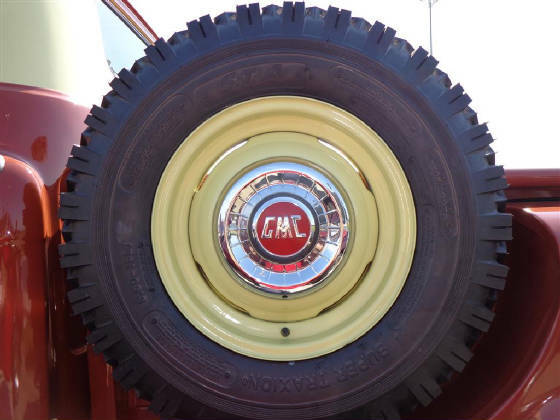 Today these trucks are still very versatile and durable 60 years later and are considered to be very collectible by GMC and NAPCO enthusiasts. 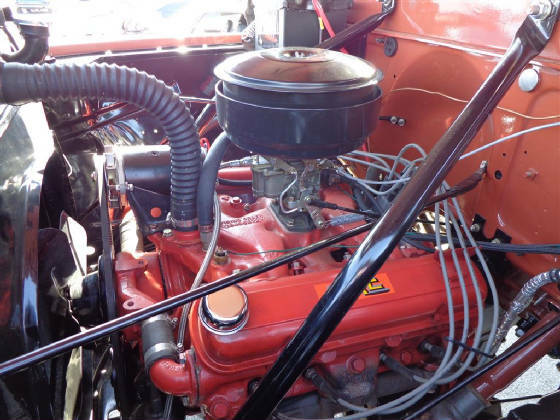 David did a complete overhaul to the factory Pontiac 347 engine with a factory two barrel carburetor that produces 182 horsepower and over 300 pounds feet of torque. 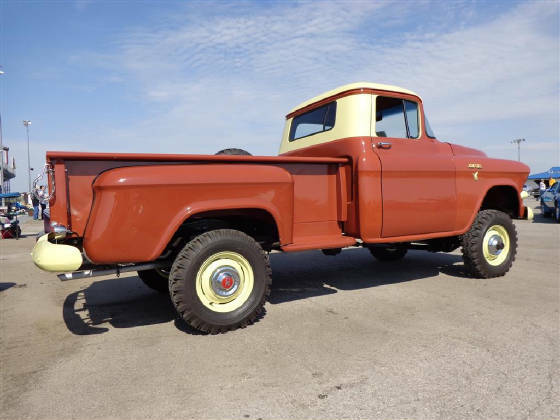 The four speed manual transmission and the NAPCO 4X4 assembly make this a very desirable collector’s truck. 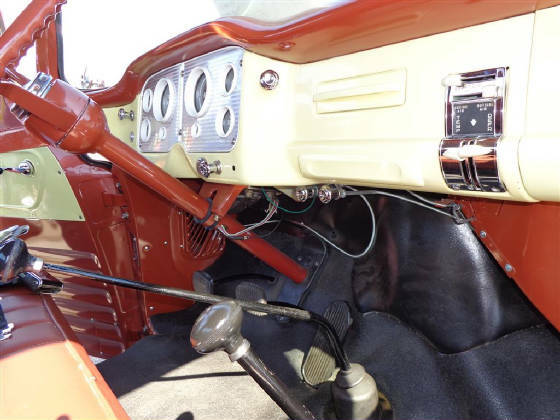 American Auto Trim helped David and Julie bring the interior of this classic 4X4 back to life. 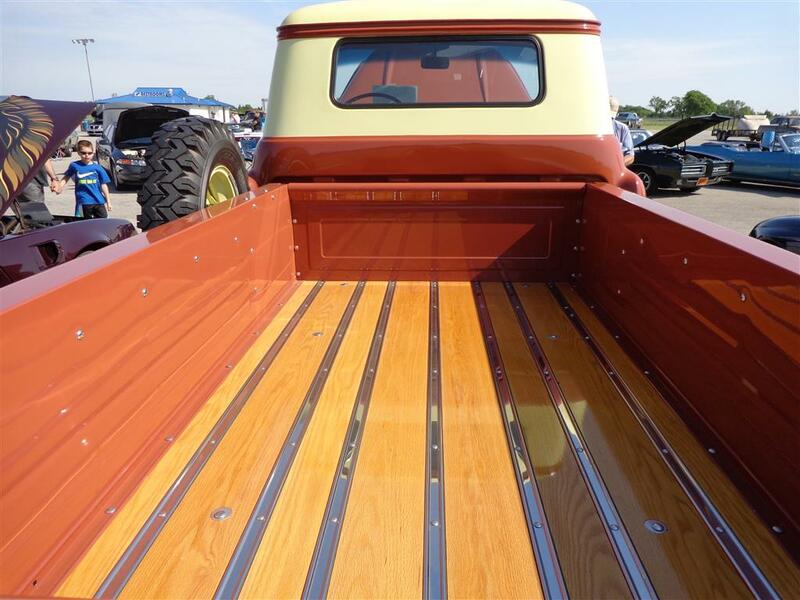 As you can see, David used red oak and stainless steel to restore this eye catching bed. David chose Specialty Tires of America for the 6.50/16 original looking tires and stock wheels and hub caps. 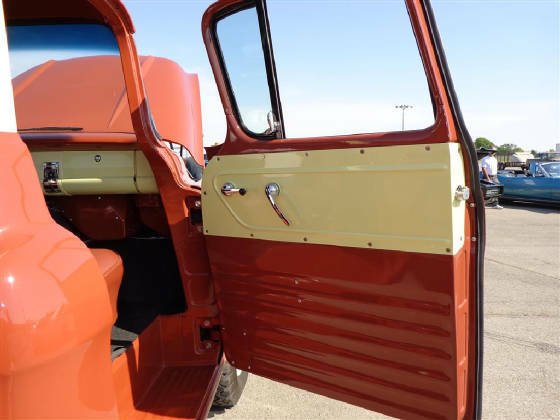 The total restoration of this rare NAPCO equipped truck began about four years ago. David and Julie’s friend Larry Crider did the paint and body work. Don Meyer recommended the classic colors of Seminole Brown and Panama Cream Yellow as the just right colors to bring this classic back to life. 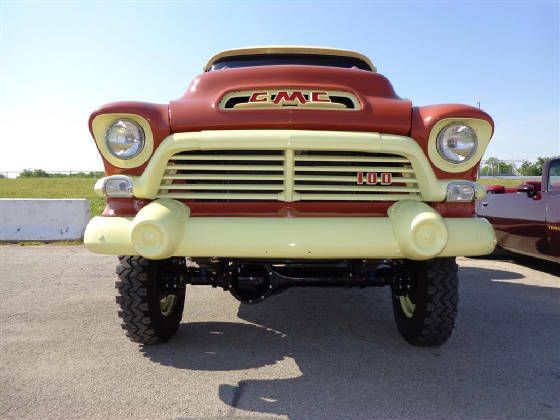 The Cimarron Starlite Cruisers sincerely appreciate David and Julie Bailey of Broken Arrow Oklahoma for sharing their classic 1957 GMC NAPCO 4X4 as our Great Oklahoma Classic for May 2015!